Intracytoplasmic Sperm Injection (ICSI) is a process of micromanipulation that is used to treat severe forms of male infertility, particularly when there is a concern about the sperm’s ability to fertilize an egg. ICSI is used in conjunction with in vitro fertilization (IVF). With this technique, the embryologist injects a single sperm into the center of each egg retrieved as part of the IVF cycle. Sperm washing may or may not be performed prior to the procedure. The fertilized egg grows in a laboratory for five days and is then transplanted into the woman’s womb. 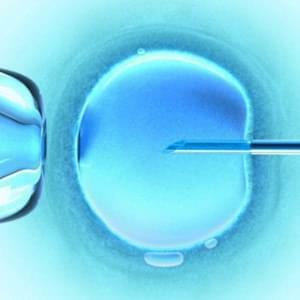 Extra embryos can be frozen for future implantation. With ICSI, an egg can be fertilized by a single sperm that otherwise would be unable to penetrate the permeable barrier around the egg (zona pellucida) and bind to the egg. When is the procedure for IVF with ICSI used? ICSI is used to counter a female infertility when a woman produces a low number of eggs, low quality eggs, or both. For more information about ICSI, please contact us.